Shaw Contract, a design leader in commercial flooring solutions and surfaces for the hospitality industry, is pleased to introduce Forum, a collection designed for today’s rapidly evolving hospitality-centric environments. We no longer look at hotels just as places to sleep, but as places to gather, connect and rejuvenate. Forum embraces this shifting perception as a collection for seekers and explorers; a catalyst for new communities, for spontaneity, for comfort, for places that welcome and inspire. The collection features a subtle palette of light, neutral tones, interspersed with calligraphic lines in a rich black, to create an aesthetic range from artful notes of contrast to harmonious blends in a distinctive set of 17 broadloom patterns and 10 18” x 36” carpet tile patterns. Contemporary clean lines blend with patterns that have a soft painterly edge, in an inspired fusion of textures and large-scale geometry. The designs include lines that merge and overlap, bold curves and strong graphical elements that make it highly adaptable at all scales. Tactile comfort alludes to sisal, jute and natural handwoven references that add a crafted feel and a tangible sense of well-being. 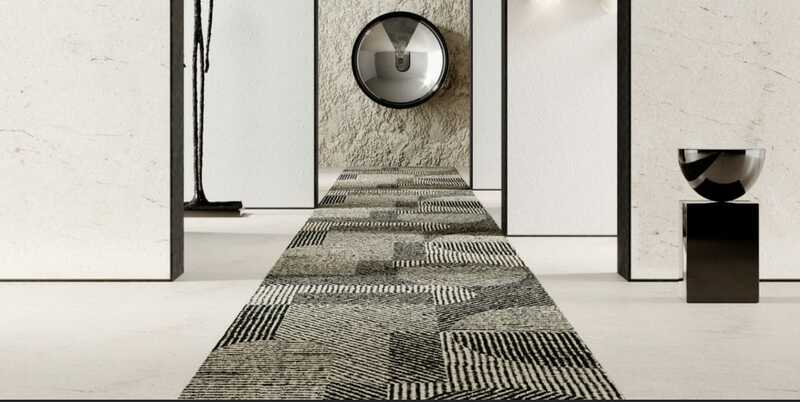 In addition to the broadloom and tile patterns, the Forum collection explores shape and form through four distinctive rugs, designed to inspire and suggest custom opportunities. 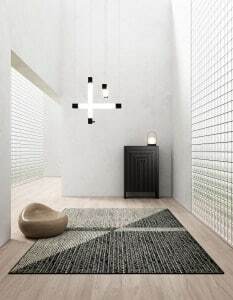 Rugs add a delicate balance to the functionality, aesthetics and emotional impact of a space. Both the visual and tactile elements of Forum enhance the versatility of this collection, which is designed to complement a full range of modern hospitality settings – from large social spaces to intimate areas. As an artful response to the changing design industry, Forum creates impactful environments infused with a feeling of comfort and a sense of exploration that welcomes us to new territories. Shaw Contract believes innovative design inspires change. The way we live, work, think, create and heal – all made better by design.